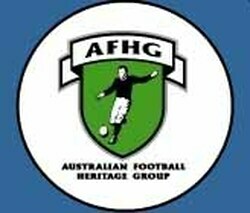 Since 1879 the VFA-VFL has played in over one hundred representative and interstate matches against the other major leagues from around Australia. When representative matches against lower level leagues and clubs are added that total grows to almost 150 games. NOTE - the VFA also played a 12th match against the VFL-AFL. It was an exhibition match played in 1936 on the Show Day holiday (Sept.24) and the VFL won by 29 points. This game is not included in the above figures because it was not an official representative/interstate match. NOTE - In 1947 the VFA played an exhibition match against the Bendigo FA, and at least four VFA players took the field for Bendigo to provide a more even contest. Preston's Kevin Pritchard scored 9 goals for the VFA and Sandringham's Geoff Brokenshire scored 10 goals whilst "on loan" to the BFA. These numbers have not been included in the above table because it was not an official representative match.